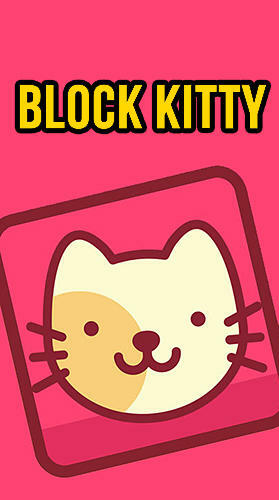 Drag blocks with images of cats to the free cells of the playing field. Make completed lines to remove them from the screen. 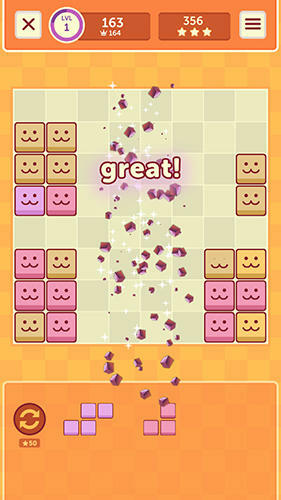 Develop your logic skills in this interesting Android game. 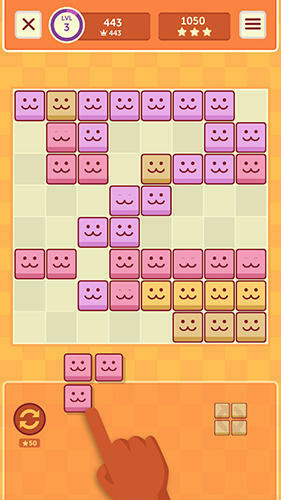 Blocks of different forms will appear in the lower part of the screen. Your task is to find the best place for each block on the playing field. 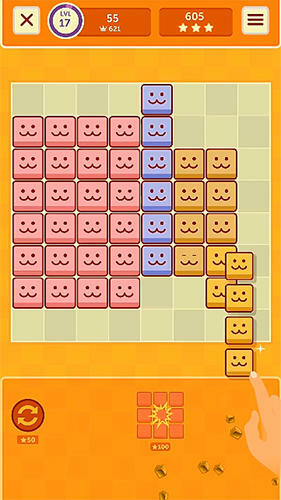 Vertical and horizontal lines which are filled with blocks completely will disappear and free place for new blocks and bring points. Train and set records.